Our moments with our loved ones are so special and yet, so fleeting. Capturing these moments together is so important. Our specialty is photographing candid moments, authentic emotions, and raw beauty. Our images tell the story of your love and connection. We specialize in Maternity & Newborn, Family, and Wedding photography. We would love to tell your story. We're a dynamic duo. A dream team. A friendship. We share the same vision and the same passion for photographing authentic, candid moments. We love using natural light and familiar settings in our photography to put you at ease and to capture the moments that define you. We specialize in Portrait photography, Maternity & Newborn, and Weddings. Portrait sessions can range from couples, parents & kids, high school seniors, pets, engagements, and small events. Maternity sessions capture the beauty of growing a new life and the anticipation of getting to meet your little one. We also offer lifestyle newborn sessions shortly after your little one is born to capture those precious first few days at home. We want to capture your special day. We offer a range of products, from engagement to wedding shoots, including various time frames designed to fit your special day. Baby Ramona is 12 weeks old for her newborn photos, and couldn’t be cuter! 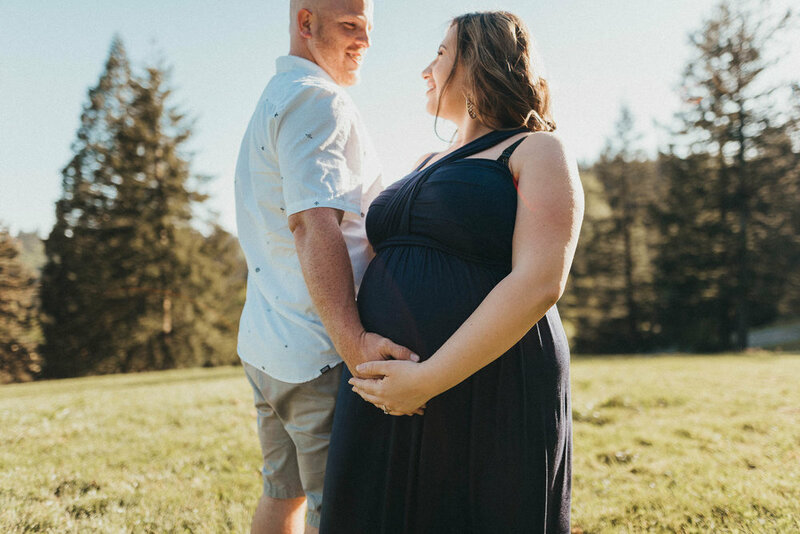 We did a super fun pregnancy session in their yard! The Gestrin family is full of personality and they really let it shine for their family photo session!